Although we often do not realize it, there are films that owe much of their success to unusual elements, like flowers, without which the sense of the whole plot and of the entire representation would not be the same. In this article we would like to talk about all those flowers that have characterized and made some of the most famous films unique. One of the first films that comes to mind, can only be the White Oleander. This is a rather recent film, released in 2002, where it is the title of the film that makes this flower one of the protagonists of the plot. In fact it is impossible to imagine this cinematographic representation without the white oleander, from which the protagonist, Ingrid Magnussen, played by the wonderful Michelle Pfeiffer, extracts the poison necessary to kill her lover. The whole movie starts from this event: the extraction of the deadly serum from the flower. Hence the entire story of Ingrid's sons who, left alone after the mother's arrest, begin a difficult path made of continuous rebounds between social workers and foster families. Chi non conosce la Bella e la Bestia? La storia di Bella, figlia di un artista, che vive a Villenueve con il padre e che per sbaglio finisce nel bosco dove viene rapita e fatta prigioniera di un mostro: la Bestia. Si tratta di una delle storie Disney più famose di sempre, conosciuta sia per il film d'animazione del 1991, che per il remake in live action del 2017. As everyone knows, the Beast is nothing but a prince to whom a spell has been made. 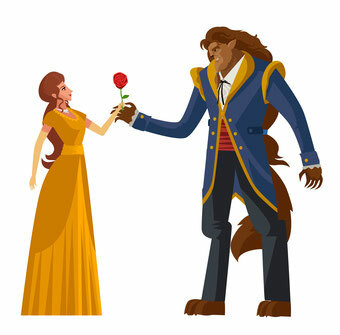 The witch who performed the spell gives him a rose: if the boy had managed to love and to be loved in turn before the last petal had touched the ground, the spell would have ended; on the contrary, the spell would become definitive. Impossible to imagine this film without one of its protagonists: the rose. In this case the flower creates suspense, without which the whole representation would lose one of its fundamental elements. City Lights is one of the first great cinematic masterpieces, not surprisingly it is a silent film by Charlie Chaplin, screened for the first time on 30 January 1931. In this case the importance of flowers is linked to the female protagonist who, in fact, is a blind woman. The whole story revolves around a series of tragicomic scenes in which the protagonist Charlot, a vagabond, tries in every way to help the poor woman, who has many debts to pay, to keep her business open. L'intero film ruota attorno all'attività della fioraia e ai fiori. One of the most recent films in which the flowers, but in this case also the plants and trees, have made the whole spectacular representation is Avatar. In this case we talk about an almost completely invented flora. It is no coincidence that there are bioluminescent flowers, particularly aggressive carnivorous plants and huge trees. 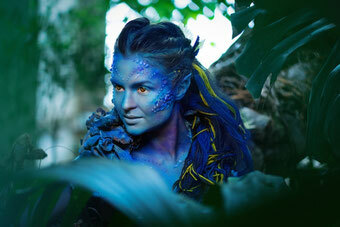 Again, imagine Avatar without the entire forest that characterizes the alien planet is impossible. Therefore it can be said that vegetation is one of the protagonists of the story and that makes this film surprising from the point of view of special effects, almost all recreated by computer. Colombiana is the story of a serial killer who commits no less than 22 murders leaving a real signature for each of them: a flower. The protagonist Cateleya draws on each corpse a flower: the Colombian orchid. The entire film has as its main theme the aforementioned flower, which serves to identify the female protagonist and without which it would have been difficult, if not impossible for the police, to conduct investigations into the serial killer. In this film by Tim Burton, one of the most popular directors of the world film scene, the flowers are not real protagonists but, without a doubt, those who have had the luck and the pleasure of admiring this incredible story, will not forget the scene of the field of yellow daffodils. The one just told is probably one of the most famous moments of the film and its fame is strongly linked to the yellow expanse of narcissuses that gives a fantastic glance and that remains etched in the minds of the spectators. I Girasoli it's a story set in the years immediately following the end of the Second World War, it is about a woman who is looking for her husband as a soldier and of whom he has no news. In the desperate search of Antonio, this is the name of the man, we end up in a field of sunflowers where soldiers and civilians were buried during the war. It is a very touching scene, in which the woman is afraid of not finding her beloved husband and in which the flowers are the undisputed protagonists in this area to give the title to the film. Adaptation is a film inspired by the novel of the same name, in which flowers are a key element for the development of history. It is no coincidence that the male protagonist, John Laroche, is a researcher madly passionate about orchids so much that he does not resist the idea of stealing them whenever he is in their presence. Later, it will be discovered that a powerful drug can be extracted from the flower. 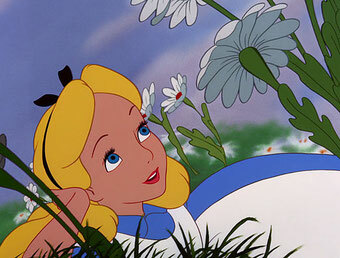 One of the most original and unusual animated feature films in the history of Walt Disney is, of course, Alice in Wonderland. In this troubling adventure, in the fantasy of a very particular child, there is also a rather famous scene in which the flowers become the absolute protagonists and come alive to sing and play (a cappella) the song of "all in the Golden afternoon". Roses, chrysanthemums, tulips, daisies, daffodils, lilies and snapdragons take part in a real concert in honor of Alice.